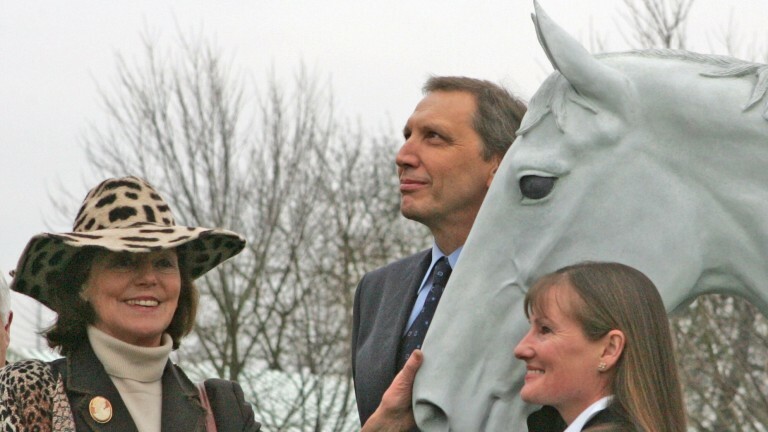 The owner of Desert Orchid has welcomed the opposition to the proposed closure of Kempton, saying the course is unique and irreplaceable. Richard Burridge said the career of his iconic grey who won the King George VI Chase four times would have been very different if the race had not been run at Kempton. "It has always struck me as a unique racecourse because it rewards brilliance, rather than being about stamina or punishing mistakes," he said on Wednesday. "Sandown and Ascot are wonderful courses but Kempton, in terms of London, seemed to make up the third part and you can't replace Kempton with either Sandown or Ascot because they are completely different." The Jockey Club, which owns Kempton, has announced plans to shut the course and redevelop the site for housing, which would help fund a new all-weather track in Newmarket and major investment at Sandown. Burridge added: "Selling Kempton to build an all-weather track in Newmarket doesn't seem a reasonable swap on any basis, although it's good for the professionals at Newmarket. I am not against change but if you sell Kempton you had better be clear you are getting something very major in return because you are losing something invaluable and irreplaceable. "I am glad there is opposition to it because we certainly had some great times there and hope to continue to do so. It doesn't sound to me like a done deal. It just sounds like a terrible idea." Oliver Sherwood has called on the racing community to rally together and enter into discussions with the Jockey Club to try to save the course. The Grand National-winning trainer, speaking on At The Races on Wednesday morning, is shocked by the plans and wants to engage with the Jockey Club to try to preserve the track. "We've got to get our heads together and speak to the Jockey Club and hopefully we might get some sort of package together to save Kempton," he said. "I don't think we want to just lie down and accept it." As part of the Kempton closure, the King George VI Chase would move to Sandown, while an all-weather track would be created at Newmarket. However, Sherwood wants these proposals explained in greater detail, and added: "The Jockey Club need to show us this package and then we might understand it. "At the moment they've just dumped it on us without any explanation other than it's for maintaining racing's heritage. That's just words to me. Show us the sums and what they want to do and we might understand it more easily." Kempton's closure would continue a trend of right-handed jumps tracks shutting, with Folkestone and Hereford also falling under the axe in recent years, although the latter has recently reopened. Sherwood admitted he was fearful for the future of jump racing in Britain, and said: "Kempton is a big, big track and who's to say that in a few years time it won't be Sandown or somewhere else going by the wayside? It's worrying times for the jumping boys."